After the disruption of the launch of his controversial book in Johannesburg, author Pieter-Louis Myburgh is still looking forward to the Cape Town leg of the launch. 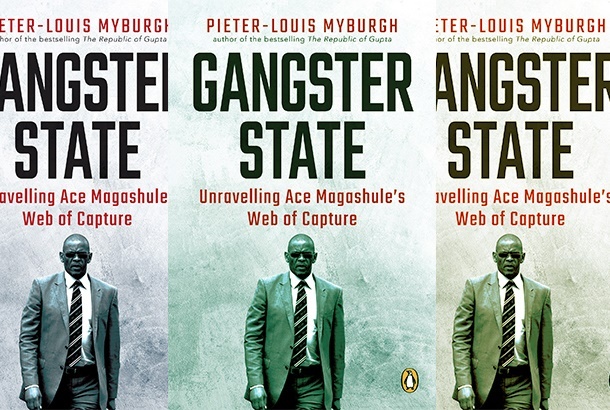 On Tuesday, the launch of Gangster State: Unravelling Ace Magashule's Web of Capture became chaotic when a group of protesters gathered at Exclusive Books in Sandton. They ripped apart some copies of the book, which contains damning allegations about Magashule, the ANC's secretary general, and scattered the pages. But the uproar didn't deter Myburgh from proceeding with the Cape Town launch. "I am excited about the Cape Town launch and I look forward to discussing the matters raised in the book, as I had hoped to do with City Press editor Mondli Makhanya before Tuesday’s disruptions," Myburgh told News24. The event is expected to take place at the V&A Waterfront on Thursday. Myburgh said he was not aware of any planned disruptions in Cape Town, but organisers were putting in place extra security measures to ensure that everyone will be safe. In a statement on Wednesday, Penguin Books SA said it was "appalled at the behaviour of those who disrupted the launch". The ANCYL in the Free State has since cancelled its plans to burn piles of the book. "After we had released our statement with [the] intention to burn the book because we disagree with its propaganda, the ANC leadership engaged us and indicated that burning the book will not assist anything in terms of achieving our objectives, and that they did not agree with the burning of the book," ANCYL Free State spokesperson Sello Pietersen earlier told News24.